I've always been more of a movie watcher over a TV watcher, which is why I've been having to play catch-up with a couple of shows that have been pretty popular over the years. Since I've started Project Catch-Up I've been exposed to shows like: Angel, Buffy the Vampire Slayer, Psych, Friday Night Lights, Bones, The Big Bang Theory, Dexter and few others, but my work is far from done. 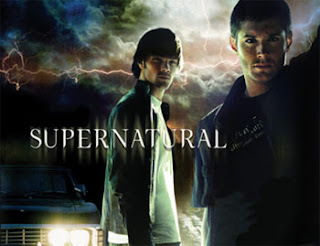 Supernatural: Maybe it's because of Angel, but I have the feeling that I'll really like this show mostly due to its, demonic and paranormal elements, but also because of the witty and dark humor. 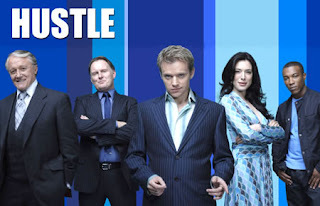 Hustle: I remember hearing about a British con-man show that was going to be on AMC, but for some reason I never started watching it. Then, Leverage came out, and everyone immediately started comparing it to Hustle, so of course I have to check it out since I'm such a huge fan of the former. Dollhouse: I did try to watch Dollhouse when it was actually on the air, but I lost interest after the first two episodes. I have heard that it gets a lot better, and there was so much hub-bub about "Epitaph One" and "Epitaph Two", that my interest was reignited. 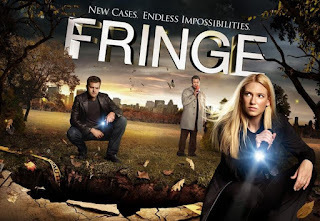 Fringe: I tried to watch most of season 1 of Fringe when it first aired on FOX, but I missed a few episodes which meant I was completely lost. I caught up in time for season 2, but for some reason Fringe fell off of my TV watching schedule, which is odd since I always watch Bones live. I'm trying to watch most of the S2 episodes online, but part of me thinks I should just wait until it comes out on Blu-Ray and knock them out at once. 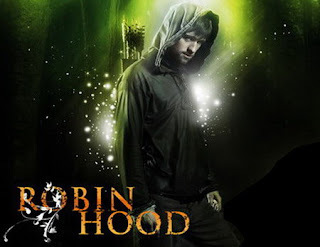 Robin Hood: Seriously, who doesn't like the Robin Hood mythology? And those are the shows that I can remember off the top of my head. 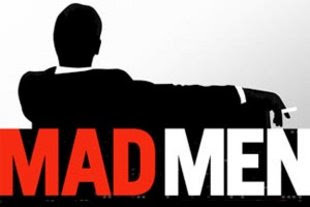 Mad Men Is amazing. Definitely takes a while to get in to tho. And Dollhouse doesn't get good until half way through season 1 and dips down again until the second half of season 2. I really want to start on Supernatural too. I've heard great things and sounds right up my alley. I'm watching S1 of Supernatural, and so far so good.